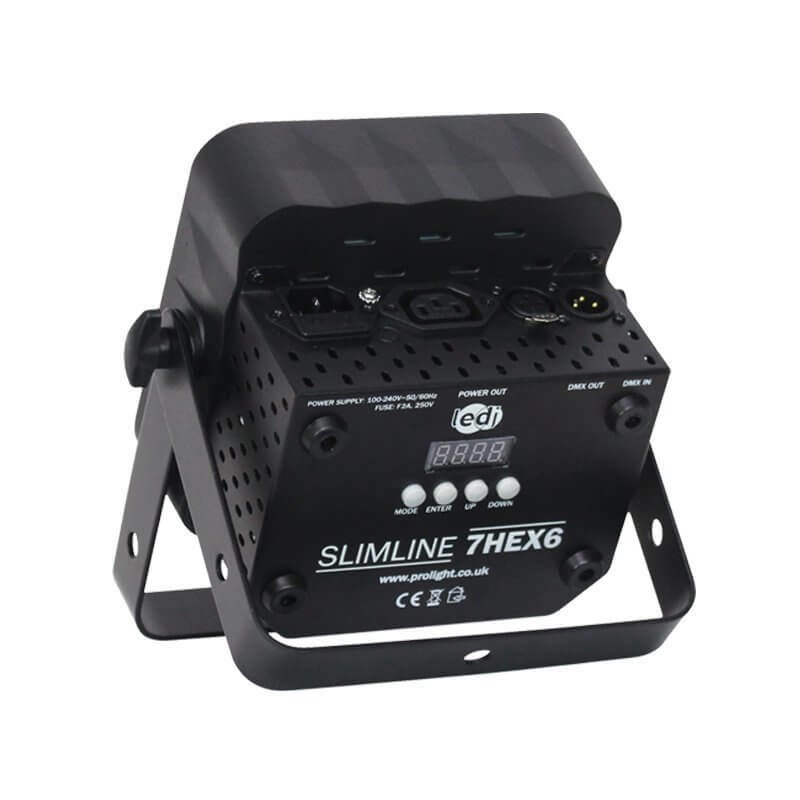 Housing 7 x 6W hex-colour LEDs, the Slimline 7HEX6 gives smooth colour mixing from rich saturated hues to subtle pastel shades. These units have rugged, all metal housing and measure only 124mm in depth for easy transportation and installation. 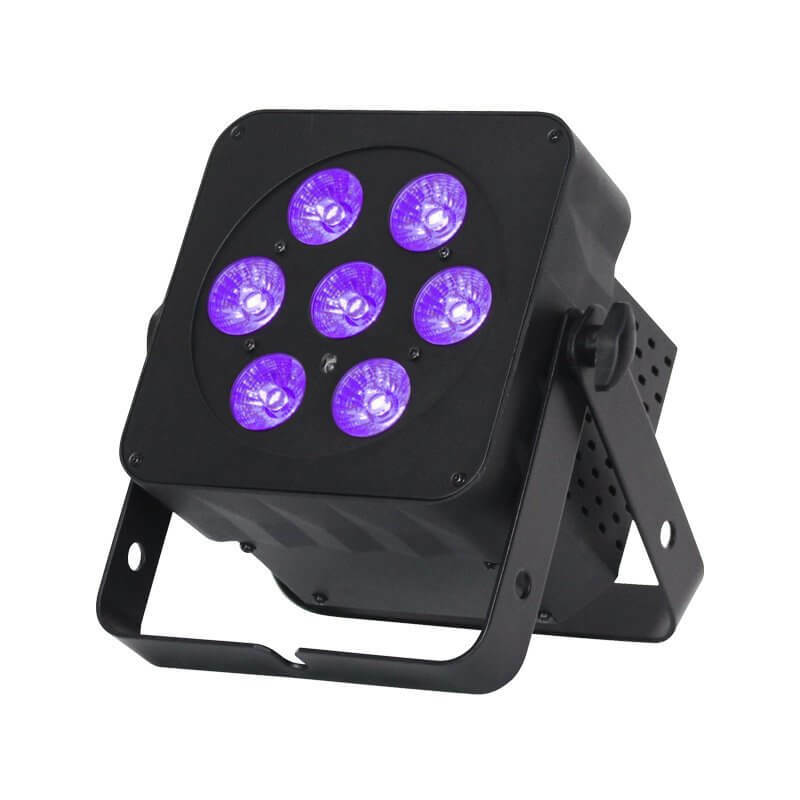 Housing 7 x 6W hex-colour LEDs, the Slimline 7HEX6 gives smooth colour mixing from rich saturated hues to subtle pastel shades. These units have rugged, all metal housing and measure only 124mm in depth for easy transportation and installation. They are also convection cooled for silent operation and feature a 30Â°Â beam angle. The 4 push button LED menu or optional IR remote allow easy access to the functions including DMX, master/slave, sound active and stand alone.